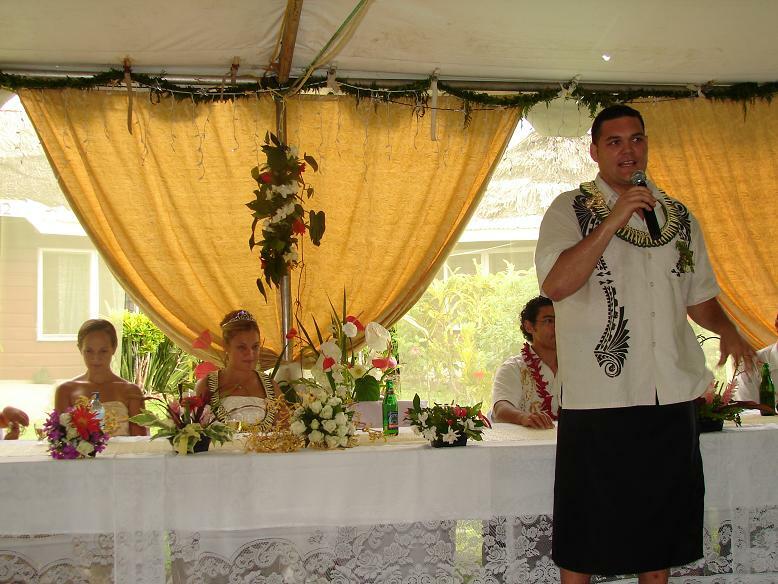 "On behalf of my lovely bride and I..."
Time for a cold vailima! Now I may kiss the groom! "I now pronouce you husband and wife (again:)"
Striking a pose with our reverend and his wife. Together we cut the cake. Alex's extended family present at the wedding. Some of my extended aiga present at the wedding.